The world's only fully restored and working example of his World War 2 airfield defence fort. 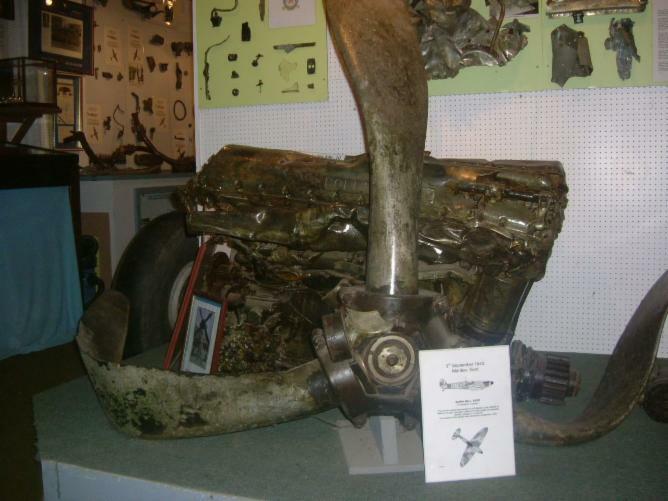 The collection includes British, German & American aircraft engines. Parts of the first Me109 to crash in this country during World War 2. A large section of fuselage from Me109 W/Nr 3737 the personnel aircraft of German “Ace” Werner Molders that blew up over Marden in 1940 & parts of Spitfires & Hurricanes flown by such well know names as “Ginger” Lacey & Bob Stanford-Tuck. We have items from such rare aircraft as the only Curtiss 75 (Mohawk) & Northrop P61 Black Widow aircraft to crash in the UK during WW2. 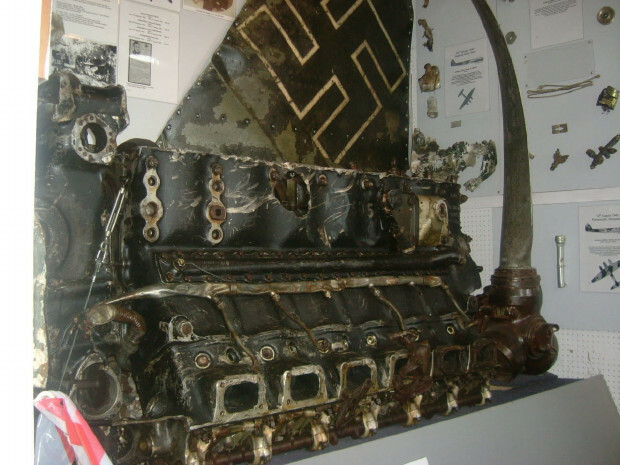 We also have items that were recovered all over the world, including parts of a Halifax from Norway, a Japanese Zero from Singapore, Me110 from Austria a Russian Shturmovik from Leningrad. 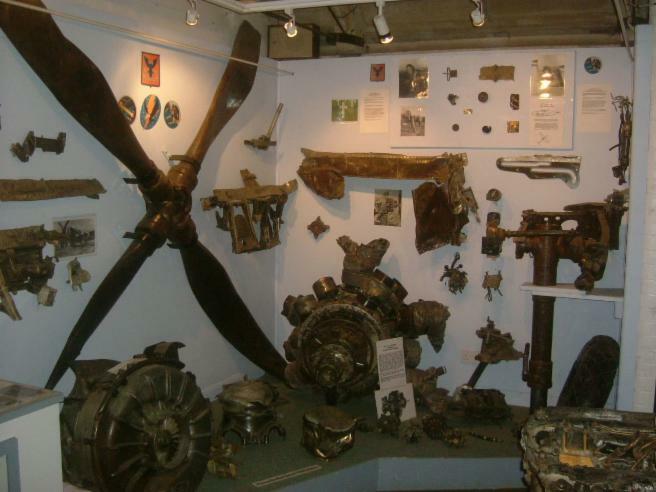 The museum are custodians for the RAF Ex Prisoner of War Associations collection of POW memorabilia & artefacts. The museum also holds over 200 British, German & American uniforms & flying suits most of which have been donated by their owners with full history. The museum is always pleased to receive the donation of new items for the collection. In line with museum policy of exhibit rotation, we cannot guarantee that a particular item will be on display at any time. The remains of all aircraft which have crashed in military service (whether on land or at sea) are protected by the Protection of Military Remains Act 1986. It is an offence under that Act to tamper with, damage, move or unearth the remains unless the Secretary of State has issued a Licence authorising those things to be done and they are done in accordance with the conditions of the licence.